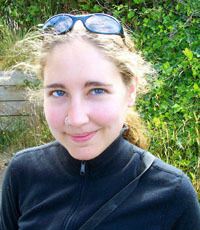 Tawnya D. Peterson from the Institute for Marine Sciences at the University of California, Santa Cruz will give a talk on May 7, 2007 at 11 a.m. in the Paul Clayton Building, room PC401. 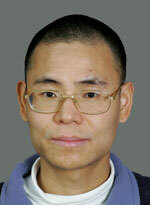 Yinglong (Joseph) Zhang, an OHSU research assistant professor in the Department of Environmental and Biomolecular Systems, will present his research on April 27, 2007 at 11 a.m. in the Paul Clayton Building, room PC401. 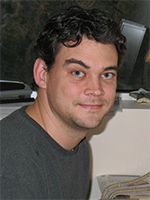 Peter Schupp, an Assistant Professor of Marine Biology from the University of Guam, presents his research in chemical and microbial ecology. Joseph Needoba, an OHSU and CMOP faculty candidate, presents his research on modern approaches to investigate marine biogeochemistry. CMOP M.S. 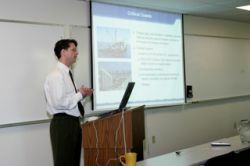 student, Nathaniel Hyde, defended his thesis: Toward National Estuarine Modeling and Characterization/Classification Systems: A Pilot Study for Coos Bay. CMOP will conduct a two-session seminar on Federal Indian Law that provides an overview of relevant treaties and policies of Congress toward Tribes, and their implications for natural resources and fisheries. 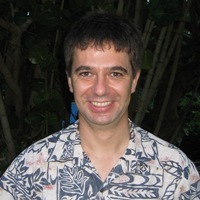 The September 2006 issue of NSF Current, a publication of the National Science Foundation, contains an interview with Antonio Baptista, director of CMOP. Friends, family, and colleagues of L.E.L. "Bets" Rasmussen, Ph.D. a long-time OGI professor best known for her research on mammalian chemocommunication, gathered for a memorial service in her honor at OGI in October. PORTLAND, Ore – Saturday Academy will partner with Oregon Health and Science University to bring cutting-edge science opportunities to young people as part of a $19 million grant awarded to OHSU from the National Science Foundation. The grant will fund the creation of a Science and Technology Center for Coastal Margin Observation and Prediction (CMOP) at OHSU. Oregon Health & Science University has received a $19 million National Science Foundation grant to form a new center for studying coastal margins, the biologically rich but highly vulnerable environments where rivers meet the ocean.